For this month’s staff spotlight, we invite you to learn more about Legal Assistant, Reagan Volkman. Ms. Volkman was born and raised in San Diego, California. She pursued her studies at Cuyamaca and Grossmont College graduating in December 2014 with degrees in History, the German language, and Paralegal Studies. She is fluent in German and has knowledge of American Sign Language. At the office, she assists attorneys with drafting, compiling, and filing family-based immigration petitions including applications for adjustment of status, I-130 consular processing, removal of conditions, naturalization, fiance visas, change of status petitions, and much more. 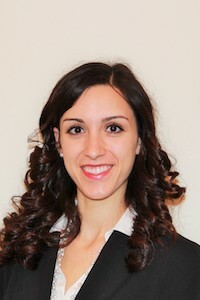 Prior to working for the Law Offices of Jacob J. Sapochnick, she worked with the Salvation Army Kroc Center as a figure skating instructor bringing with her, her valuable experience creating client relationships with individuals and families from diverse backgrounds. She is passionate about helping others, whether it be to get out of difficult situations or to achieve their goals. In her free time she enjoys spending time with her siblings, figure skating, hiking, baking, and watching Netflix. Learn more about the dedicated staff members serving and supporting our clients here. To schedule a free consultation please contact us.